In 2003, a teenage girl who was extremely shy (to the point that when at a fast food chain she would ask her sister to order for her) was trying to escape half a day’s worth of classes. She signed up for her first Impromptu Speaking Competition to be exempted that day. It was her first time in a speaking contest. After couple of contestants, the winners were announced and she took second place. She was surprised to have won and that was when she found out that she probably had a skill in speaking specially in coming up with reasons and stories. She never really took notice of it until 4 years later. After her first heartbreak, she would force herself to belong to the world of extroverts. She signed up for her first beauty competition in her hometown, Ormoc. There she got a feel of how it was to have spotlights and a huge crowd listening to what she had to say. Naturally while answering the final question, her introvert side kicked in and she started to lose focus on her speech. This mistake cost her the title and she settled for second best. In 2009, coaxed by her gay friends, she joined Miss Cebu. Unprepared but curious she managed to be part of the finalists. It was during this stint that she found out about Toastmasters International. After two days of sessions, she felt a bit more confident about her speaking skills and considered joining the organization. This thought was buried overtime. Fast forward to 2016, after a string of misadventures in Makati, she moved back to Cebu. Through Facebook, the thought of improving her speaking skills was once again ignited. This time around, she finally decided to commit to it. Yesterday, she joined their speech competition for impromptu. The fourth person to speak, she entered a tense room with all eyes on her. The toastmaster of the evening Nizz then said a quote by John F. Kennedy, ” The time to repair the roof is when the sun is shining. ” Caught off guard by the figure of speech she started to compose her speech. As she was delivering it, she noticed the crowd looked a bit discombobulated. A bit distracted she continued until she looked to her right and the warning light was already red. She quickly tried to wrap everything up. After the speech, she already set in her mind that she was already disqualified as the rule was strict about going beyond the allotted 30 seconds. After the scores were tallied the pronouncement came. Dranz was called for second place and she just cheered on for either Tin or Peter Paul then something unexpected happened. Her name was called. She shruggingly went on stage and accepted the recognition. 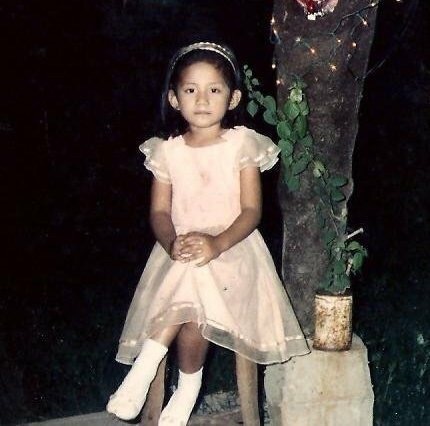 14 years ago, this girl would never imagine that she would be competing to speak in a prestigious organization and yet her she is, bravely walking into uncertain. Now at 30, others might think it is too late for her, she is not worried. She is confident enough to walk in her own pace. Do not get her wrong, she is still an introvert right down to the core but she knows words are powerful enough to help change the world. A world where her thoughts and words are put out for the world to hear and think of and have the potential to influence minds. In her attempt to escape, she found a new world where she can be good.